Bike riding is becoming increasingly popular nationwide, with a growing number of cities launching bike-friendly initiatives, including bike share programs, Complete Streets road design and safe cycling education campaigns. Minneapolis-St. Paul, also referred to as the “Twin Cities,” has joined the bandwagon too, installing bicycle lanes throughout the city, which has a number of bicycle clubs, meet-ups and annual sponsored rides. However, a lawmaker has recently caught heat after introducing a bill in the state legislature that would make bicycling more expensive. 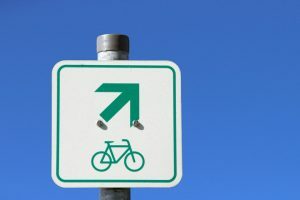 House File 499, introduced by Republican Duane Quam, would require cyclists who want to use public bicycle lanes to purchase a permit, pay a $5 fee and complete a bicycle safety education course. Additionally, all bikes being used on public streets would need to be registered with the state public safety commissioner. Additionally, riders using bicycle lanes would need to be at least 15-years-old, making no provision for where school children commuting to class are supposed to ride. The response from the cycling community has been one of outrage. Yes, there are provisions that include recommended and required bicycle safety equipment, and there is nothing wrong with bike safety education courses. But most see it as largely unnecessary, and possibly as a significant deterrent for some who would otherwise want to ride a bicycle. It would also give police another violation on which to initiate stops on people in the city. It should be noted that Quam’s district is in a rural region that doesn’t even have bicycle lanes, but the bill would pertain only to areas with structures devoted to business, industry or dwelling houses that are less than 100 feet apart for a quarter mile or more. Put another way, it would pertain almost exclusively to the cities of Minneapolis and St. Paul. The bill does have one glaring unintended consequence to the interest of motorist Quam seems intent on protecting: It’s still legal in Minnesota for bicyclists to ride in the same lane as motor vehicles. That means that cyclists could avoid the whole permitting, fees, age requirements and time spent in a safety course by simply riding in the same lane as vehicles. Of course, then drivers of those vehicles would have no choice but to wait, as bicyclists inevitably move at a slower clip at times than typical vehicle traffic. Indeed, the whole point of a bicycle lane is to reduce the impediments to the typical flow of motor vehicle traffic and to reduce the odds of a bicycle accident resulting in injuries – or worse. Local bicycle coalitions have called the bill, “a royally stupid idea.” Still, they take some comfort in the fact that very few expect the bill will get very far on the house floor. They encouraged constituents in his district to make their voices heard on the matter. One group called the action “discriminatory,” pointing out that walking and bicycling as a form of transportation are “basic rights” that should be afforded freely to all residents and visitors. The bigger risk and problem, they point out, is the danger posed by cars parking illegally in bicycle lanes.